Last month we went on the search for the top three motorhome accessories you simply cannot hit the road without. Hundreds of votes have been counted and we can now reveal your top three must-have accessories to make your motorhome adventures as enjoyable as possible. Straight in at number one with over a quarter of the votes was the trusty Sat Nav, which can almost guarantee you’ll arrive at your chosen destination with ease. 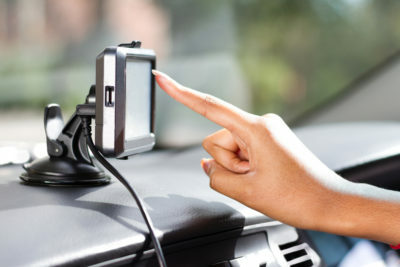 Popular systems include TomTom, Snooper, and Garmin and the best option is to choose a device where you can include your motorhome’s length, weight and height so you don’t find yourself in a sticky situation, like a low bridge or narrow lane. With the Sat Nav getting 27% of the votes, getting to your campsite quickly is clearly a priority for many. Everyone loves a cup of tea or coffee and so it was no surprise to see the kettle come steaming in to second place with 23% of the votes. Popping the kettle on is often the first job once you’ve arrived on site and started to get through your setting up jobs and checks. 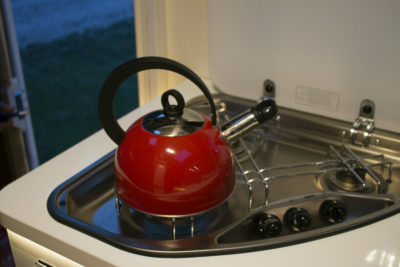 Either on the hob or the electric variety, a kettle is an absolute necessity for any motorhome holiday – whether it’s to make sure you have your cuppa in a morning or the kids can enjoy a hot chocolate on a wet and cold trip! Powering up behind the kettle was the electric hook up cable in third place – making sure you have enough power for your appliances. 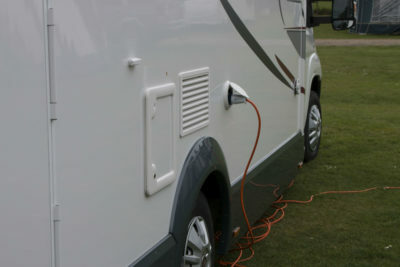 Connecting you and your motorhome to a mains electric hook up point, the cable means you can have most of your home comforts with you. Remember to always connect to your motorhome first, don’t overload the power supply and always uncoil the cable to preventing it from overheating. We had lots of close contenders near the top of the voting table, with the solar panel taking the fourth spot and TV and levelling blocks taking joint fifth place. 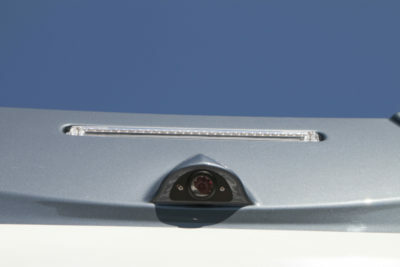 This was followed closely behind by the reversing camera – essential to avoiding any reversing mishaps – plus you’ll get a small motorhome insurance discount with Caravan Guard. Gas bottles and the leisure batteries also made the top 10. Thanks to everyone who voted and to those who added some of the things we missed. Husbands, wives, and sense of adventure all got a mention as did your trusty pets. And reader John Burgess made a good point in that it depends on the weather and time of year you’re travelling as to what accessories you take with you. When you’ve bought all your motorhome accessories, make sure you include their value in your motorhome insurance sums insured and avoid theft by not leaving leave expensive items in your motorhome awning or in an unlocked ‘van. Look out for our latest poll on our news blog about staying connected while touring in your motorhome. I don’t think your ‘must-have motorhome accessories’ survey was well thought out. YOU provided the list of must haves for us to choose from. I note that the Sat Nav is listed first well I hope this is not a reflection of the capabilities of the modern Motorhomer, I have been finding sites with the use of a map before Sat Navs were thought of. My first choice from your list was the gas bottles for without this your kettle shown would not work as well as all the other gas appliances. My second choice was the electric hook up (pleased to see this did come third) for without this and electricity to plug in to there would be no home comforts unless of course you like tenting. Happy motorhoming BarryC.